Four years ago, I bought a brown felt cloche hat with the intention of wearing it whenever I was writing. It was mostly for the sake of starting a ritual, really. (Also, I really did like the hat, but I didn’t have the courage to wear it in public.) Ultimately, I found it uncomfortable, so I stopped wearing it while I was writing. I set it on a shelf and tried to avoid looking at it, instead. After that, I gave up on rituals for awhile, writing them off as unnecessary and superstitious. Every so often, though, I looked at that cloche hat, which was gathering dust on the shelf. I wondered if I was missing out on something. No, I thought. 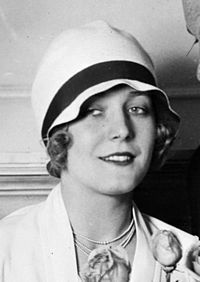 Wearing a cloche hat every time I wrote wasn’t really my cup of tea. I tried not to feel bad about it, either. In each study, the researchers found similar patterns. When participants engaged in a pre-consumption ritual—anything from breaking a chocolate bar in half and unwrapping and eating each half separately to rapping their knuckles on the table and closing their eyes prior to eating a series of carrots in a predetermined sequence—they anticipated the experience more highly, savored it longer, and enjoyed it more. They even found that the food they ate tasted more flavorful – and were willing to pay, on average, between fifteen and twenty-five cents more for it than when they hadn’t performed a pre-eating ritual. If they engaged in non-ritualistic acts, however, or observed someone else performing a ritual, the experiential effects went away. I start all my books on January eighth. Can you imagine January seventh? It’s hell. Every year on January seventh, I prepare my physical space. I clean up everything from my other books. I just leave my dictionaries, and my first editions, and the research materials for the new one. And then on January eighth I walk seventeen steps from the kitchen to the little pool house that is my office. It’s like a journey to another world. It’s winter, it’s raining usually. I go with my umbrella and the dog following me. From those seventeen steps on, I am in another world and I am another person. I go there scared. And excited. And disappointed — because I have a sort of idea that isn’t really an idea. The first two, three, four weeks are wasted. I just show up in front of the computer. Show up, show up, show up, and after a while the muse shows up, too. If she doesn’t show up invited, eventually she just shows up. Wow, I thought when I read that. I need to be more like Isabel Allende. I need to have rituals! Then, when I thought about it, I realized I did have pre-writing rituals. Not shaving-half-of-my-head-before-I-start-writing kinds of rituals, not the cloche-hat-wearing type of rituals, but small, ordinary rituals, like stretching my wrists, writing down the time on the clock when I started writing, turning off all the music, quitting all my programs, opening my notebook to look at my notes, and drinking a cup of water. My pre-writing rituals were right there the whole time, helping me focus on my work, and I didn’t even notice it! Rituals, I learned, are not a one-size-fits-all affair. Their significances are constructed by the people performing them. I could write standing up, for instance, but it wouldn’t mean to me what it meant to Ernest Hemingway. Establishing pre-writing rituals takes a certain amount of soul-searching and self-awareness, but if you invest time into figuring it out for yourself, it can be very rewarding. To be everywhere is to be nowhere. I’m enjoying your series on writing! You are setting such a good example by writing every day. Hemingway wrote standing up on account of a war wound, but according to the internet (Which is always full of True Facts) Thomas Jefferson and Winston Churchill also wrote standing up. My preferred stance for writing is either lying on the couch, or while eating at a restaurant. The latter is mostly because my lunch hour at work is when I sneak off to be creative. Thanks! That is so interesting! I didn’t know that. But I did know that there’s this treadmill desk craze going on right now. It sounds awesome, but I don’t think I could run and write at the same time. That’s so great that you find time to write on your lunch hour– how productive. Another fascinating article. I know I have rituals, some obvious, like going into my office at (roughly) the same time in the morning, powering up and making a coffee – but I suspect I have more rituals than I realize I do. It will be interesting to reflect on this and see if I can find out. It’s interesting to think about all the rituals we have that we don’t even think about! I know I have many.